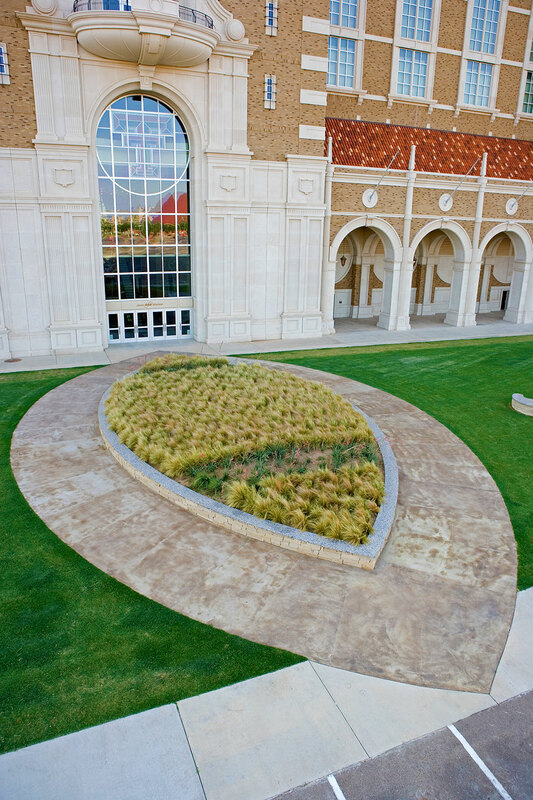 Texas Pearl Granite, Texas limestone, formed concrete. Sculptural environment for the West Jones Stadium Plaza and the Horn/Knapp and Stangel/Murdough Residence Halls, on the Texas Tech University Campus. 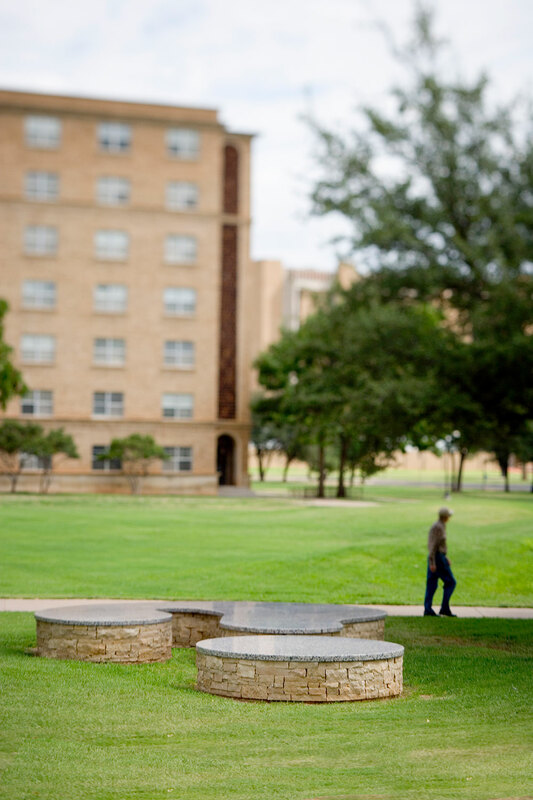 This environmental sculpture evokes the mood of the Llano Estacado, a unique land feature of the Texas high plains, by creating a horizontal field of vision which weaves a continuous visual and conceptual thread through the campus. In this way the artwork reflects the local natural environment. 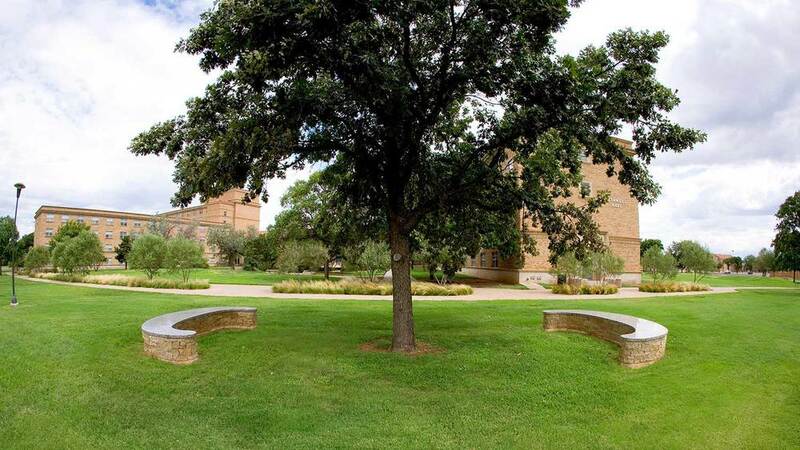 This work of art links together three distinct sites and provides visual continuity of place. The individual sculptures also serve as seating. 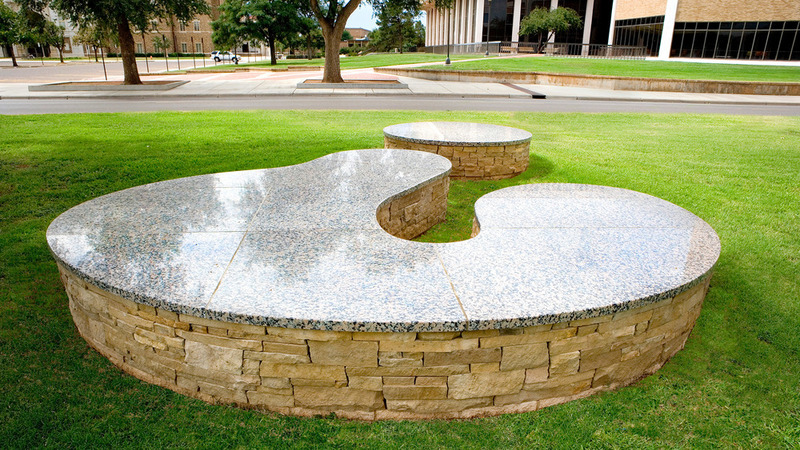 Grygutis worked as the public artist with Campus Landscape Architect, Jason Hodges, and the Texas Tech University Facilities Planning Department. Commissioned by Texas Tech University.